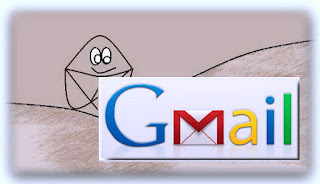 Gmail is world most popular free web mail service provided by Google . 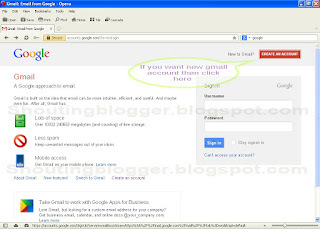 Actually it is free webmail server which allow there user to store upto 10 gb of data for free ,Gmail make revenue by montising Gmail website by showing some ads unit in user gmail account , Gmail Provides free storage upto 10 GB , however if you require more storage space then you can also upgrade your storing capacity by purchasing storage space from Google . 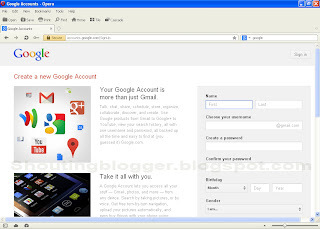 Follow these Steps to create New Google Account. 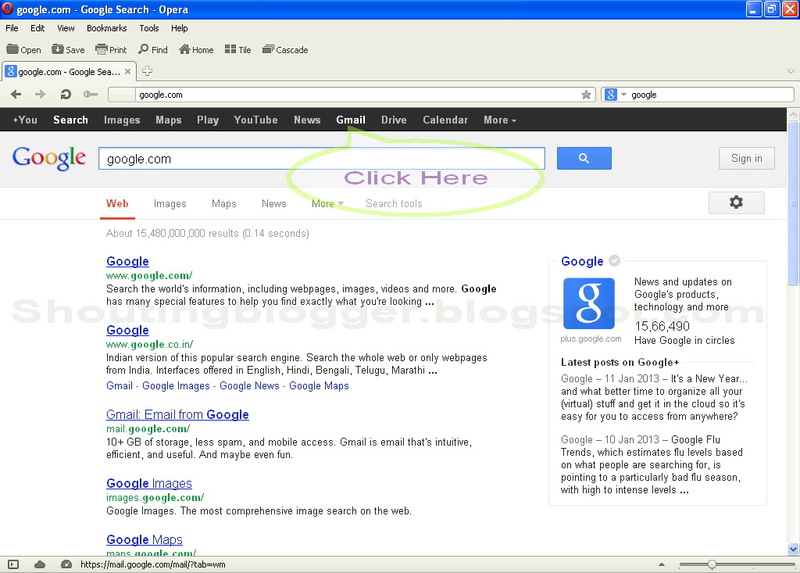 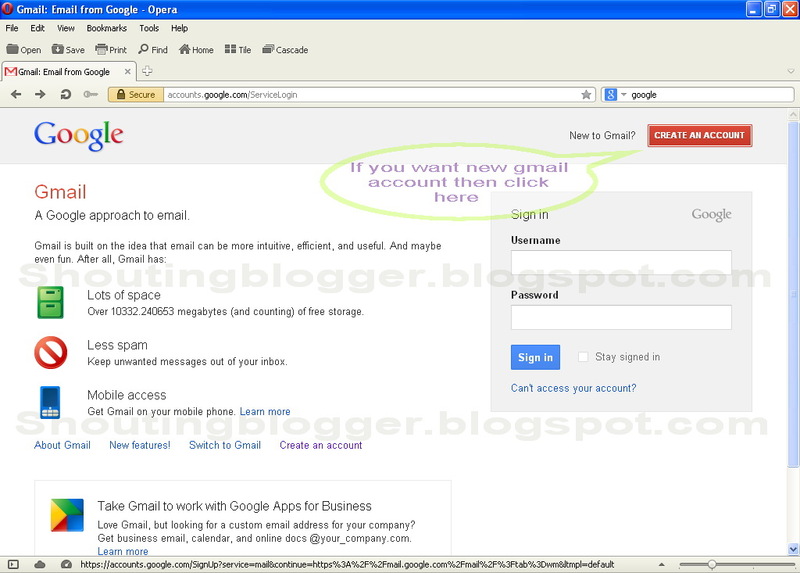 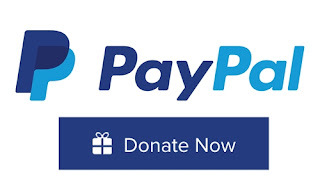 Step 2 : Click on "Gmail " located at the top as shown in Figure 1.2 or click on https://mail.google.com . 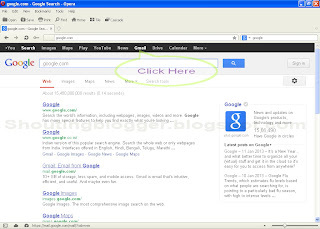 ( Refer Figure 1.2 ) . Step 3 : When you click on Gmail , a new window will appear with an option to " CREATE AN ACCOUNT " in red color at top of Gmail login window as shown in Figure 1.3 , to make a new gmail account click on " CREATE AN ACCOUNT "
"Confirm your password " ( Note : " Enter same password which you have entered in Create a password )"